Laureate™ DC voltage and current panel meters with a DC signal conditioner board combine high accura.. 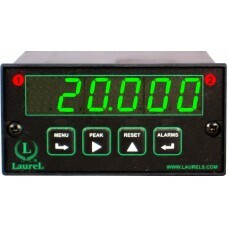 The Laureate dual-channel up or down totalizer is a basic operating mode of the Laureate counter w.. The Standard counter provides commonly used basic capabilities: The Laureate dual-channel frequ..
AC Phase Angle Measurement Phase angle in degrees indicates the phase lead or lag between.. 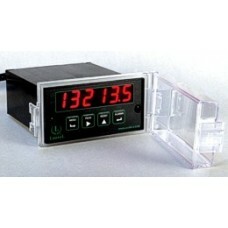 The display can be vertical or horizontal,depending on how the case is oriented. Standa..
Standard Features 50-segment bargraph display 251 mm (10") scale length Bright, wide-.. 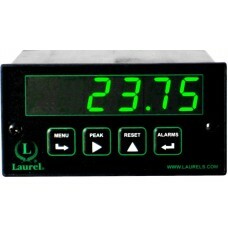 True RMS AC Voltage & Current Meter, 1 Cycle Update at 50/60 Hz. 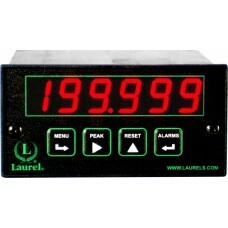 The Laureate™ True RMS meter is a 60,000 count digital panel meter with exceptional performance .. 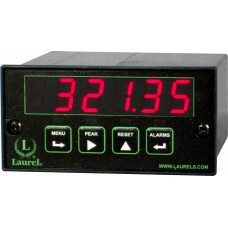 The Laureate Ohmmeter is ideal for high-speed, high-accuracy resistance measurements in a production.. 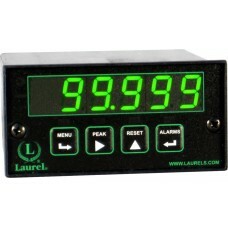 The Laureate™ RTD meter is factory calibrated for four Resistance Temperature Detector (RTD) types: .. The Laureate thermocouple meter is factory calibrated for type J, K, T, E, N, R and S thermocouples .. 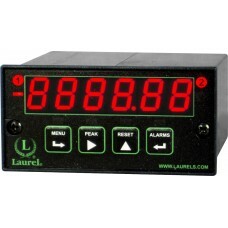 The FR dual-channel signal conditioner board accepts inputs from proximity switches with PNP or NP..
Model L40 is a low-cost, universal meter for 65 user-selectable analog input signal types and ranges..
Laureate™ digital process meters are a cost-effective solution for process signals such as 4-20 mA, .. The Laureate A-to-B Time Interval Meter can display pulse width or time delay between individual p..
Standard Counter Version Six-digit display of rate or total at the push of a front panel key. A L.. The M-35 Microminiature Process Meter is the solution when panel space is limited or the size and we..
Arithmetic functions A+B, A-B, AxB, A/B, A/B-1 applied to channels A & B are a capability of L.. The Laureate™ load cell, strain gauge and microvolt meter is a 5-digit panel meter with exceptionall.. 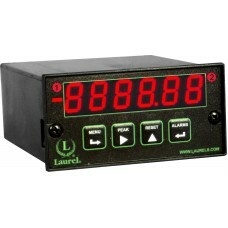 The Laureate batch controller is a low cost, powerful and highly accurate batching controller for .. 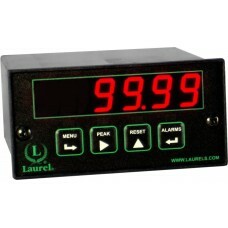 The Laureate™ Scale Meter is compact, inexpensive, and extremely accurate digital panel meter with s.. Position, Length or Angle MeasurementThe Laureate™ quadrature meter with the Standard counter main..
Duty cycle is a measure of ON or OFF period as a percentage of total period. Duty cycle is determine..
Loop powered. 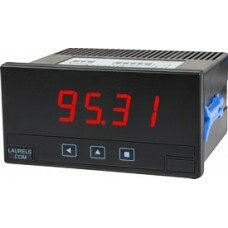 The 88-PRO Process Meter may be connected directly to a 4-20 mA, 10-50 mA or 1-5 mA ..
Protects 1/8 DIN instruments to NEMA-4 / IP67 from front DescriptionModel IPC Splashproof Cover.. Description Models BOX1 is a wall-mount / bulkhead enclosure which provides environmental prote..